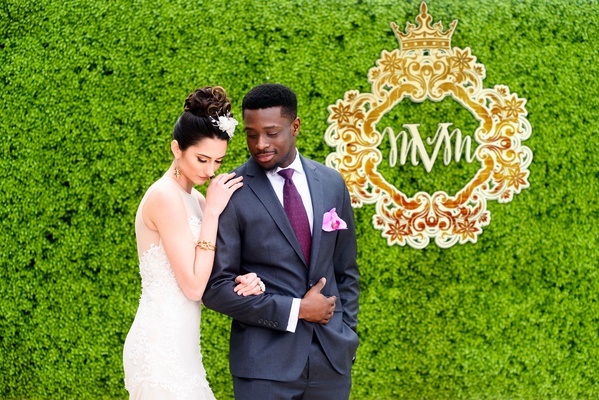 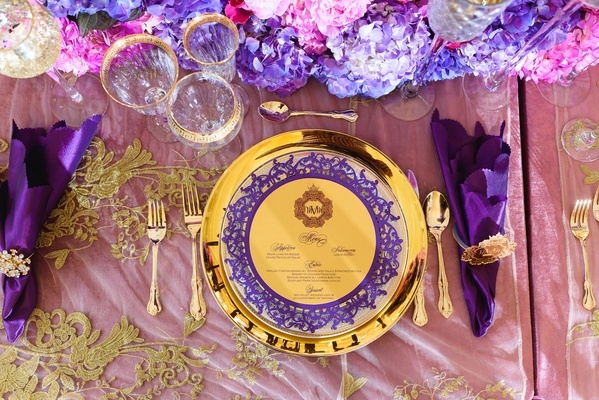 Filled with all the glitz and glamour of a royal affair, this styled shoot titled "Modern Monarch," sought to illustrate a king planning to propose marriage to his beloved during an elegant dinner service. 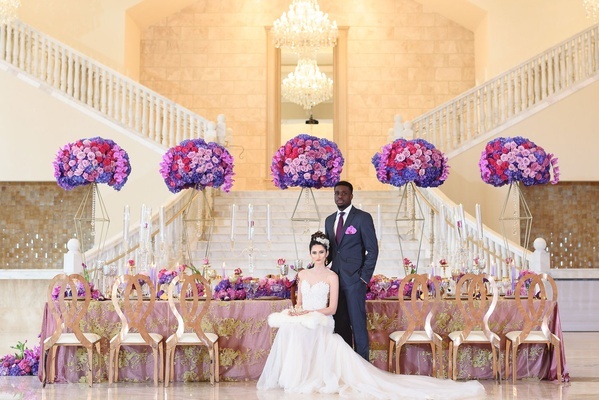 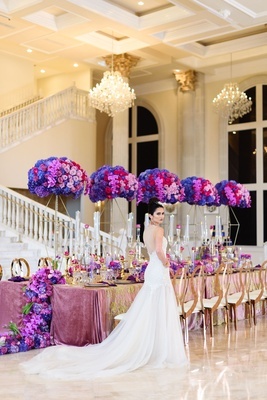 With a backdrop of a contemporary palace, this talented team of wedding professionals created a fairy-tale scene fit for a queen. 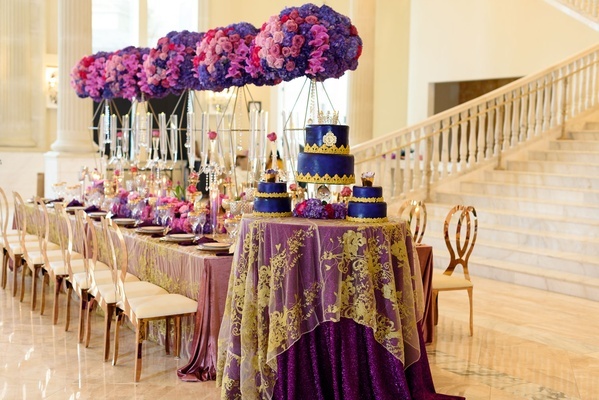 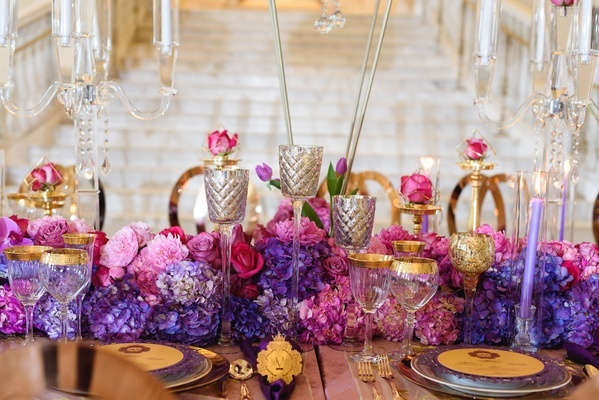 An opulent table design featuring florals in bold pink and plum shades, crystal accents, and table settings placed with precision served as the focal point of the grand space. 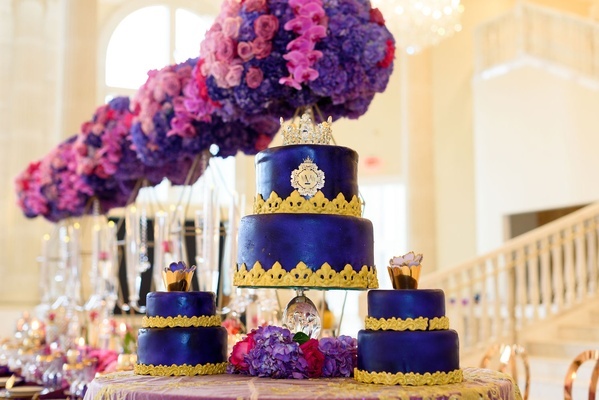 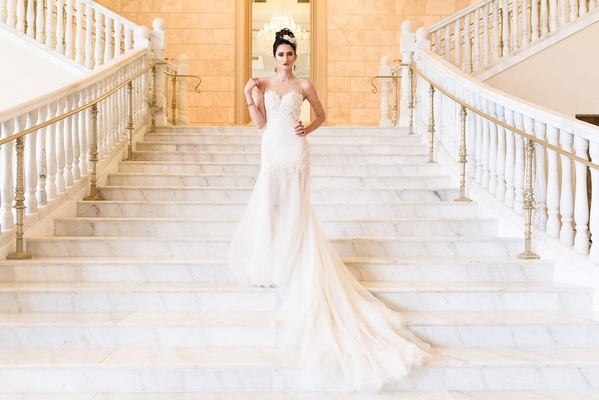 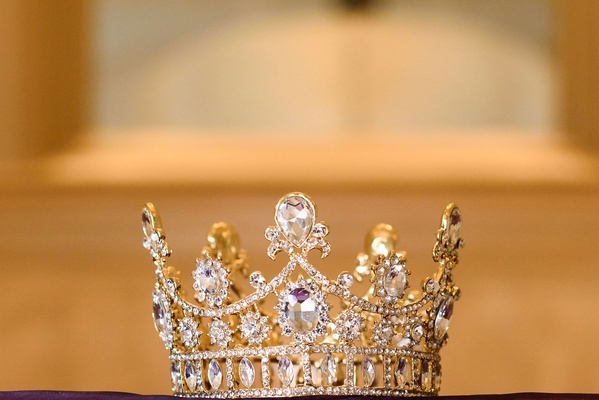 Sophisticated attire for an event as important as an engagement never goes out of style, nor does a sparkling crown is ideal for a princess bride. 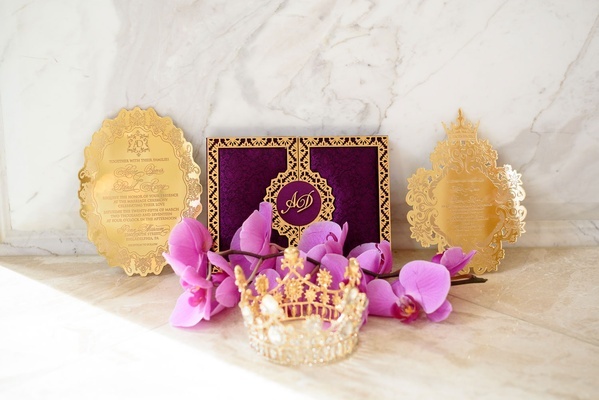 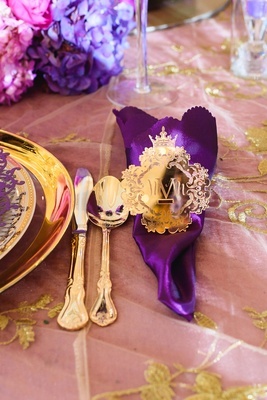 A textured folio invitation with monogram is set out on the majestic King's Table boasting luxurious velvet linens and bullion lace overlays, towering floral arrangements, romantic candlelight, and additional garlands of purple orchids, roses, tulips, and hydrangeas. 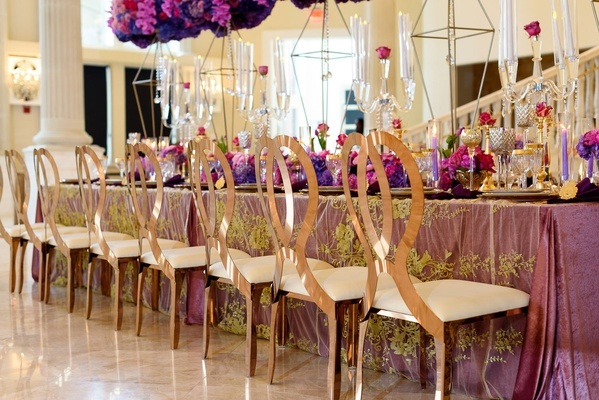 Delicate gold-inlay china topped with an intricate custom laser-cut menu is at each seat – mirrored chairs from the Luxe Mirage collection. 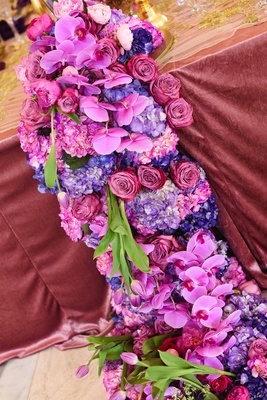 A lush runner of flowers with roses, orchids, tulips, and hydrangeas provides the final touch.